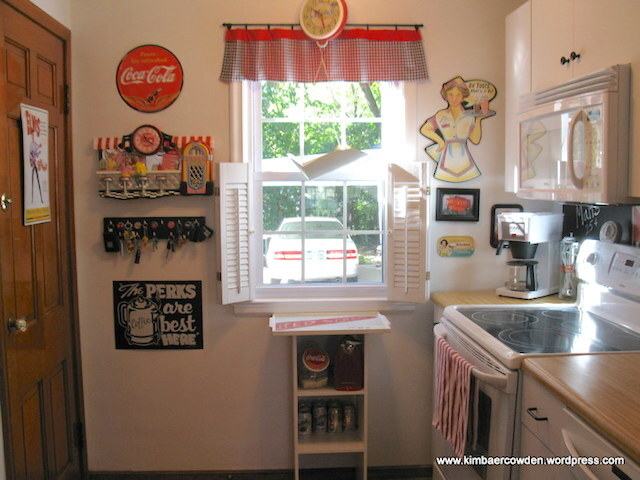 We recently came across a blog that features a gorgeous 1950’s kitchen decorating project that we just had to share! 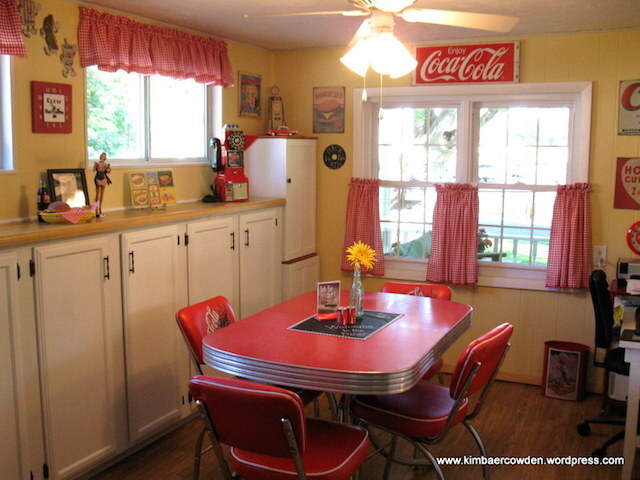 The author of the blog, Kim Baer Cowden, describes how her mother and stepdad took the kitchen in their newly purchased home from rundown 1970’s grungy to 1950’s fabulous. The photos in the blog are fantastic. They dramatically illustrate the ‘before’ and ‘after’ for the DIY kitchen project. What a stunning difference in the two. 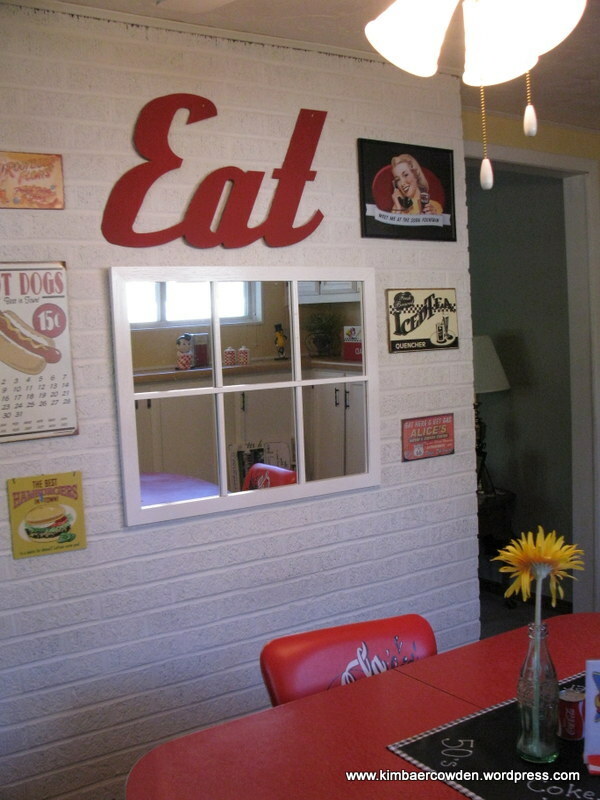 The finished product is a fun, functional, diner-inspired red-and-white kitchen that the owners must be very proud to call their own. You’re sure to get a ton of decorating ideas from seeing the photos and reading about this kitchen redo. 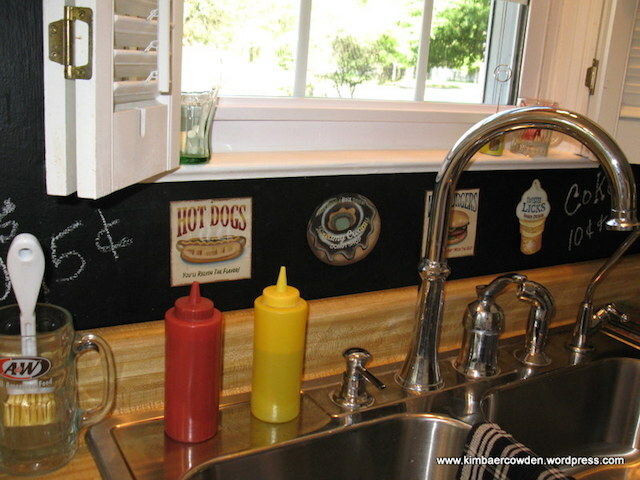 We’d like to express our gratitude to Kim Baer Cowden for sharing her photos of her mom’s kitchen renovation.